Some of the best appetizers are comfort foods and here is one of them! Meatloaf made in individual cupcakes tins. These are a perfect crowd pleaser that everyone loves. Whether your getting ready to watch that favorite sport, event or even charity, these will be a big hit with adults and children.﻿ I just love the Italian twist on these, the flavors are perfect. You can even use the leftovers in sandwiches, kids lunches and just as a snack. I am all about making easy meals. I love the fact that you can get this made in hardly no time. The best thing about meatloaf is, meatloaf even taste better the next day! We have the fussiest kids in our family when it comes to eating meat! 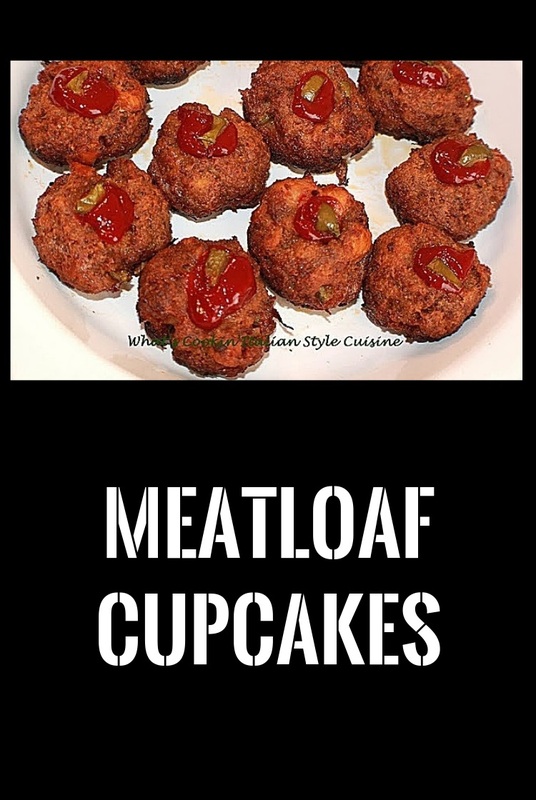 These are fun individual meatloaf cupcakes that the kids love. They are always asking for these delicious little meat dinners. With mashed potatoes, corn and a little gravy, they make individual shepherds pies, so clever! I also love to have fun with meatloaf for the kids and make various shapes. Check Out My Fun Recipes For The Kids! Maybe you remember my Halloween Meatball Ghoul? 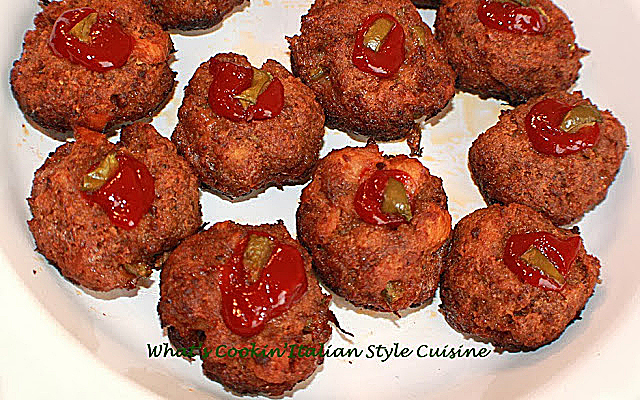 Or my Mexican meatloaf cupcakes, then I also make and Italian style stuffed meatloaf. I even made a meatball style meatloaf! Meatloaf is the ultimate comfort food. We have always found this inexpensive meatloaf as a great dinner all year long. 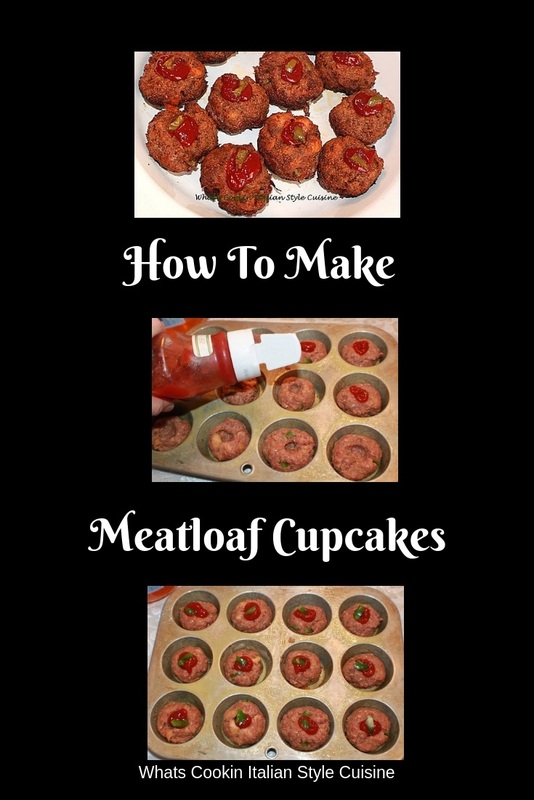 This is a simple recipe and making the meatloaf in a cupcake tin allows you to make many of them to freeze and take them out whenever you crave meatloaf! Great as a meal, in sandwiches or any kind of quick idea for lunch or dinner. This basic recipe for meatloaf is so versatile. You can change it up if you are not a beef eater with ground turkey or chicken. My only suggestions when using poultry is to add more spices, herbs and favorite condiments. I also add some garlic flavored olive oil to the ground turkey for extra flavor. Either way you make this basic comfort food, this meatloaf is easy to make and it's such a fun easy meal for dinner! Individual meatloaf made in a cupcake tin! In a large bowl, mix together ground beef or turkey, eggs, bread crumbs, grating cheese, salt , pepper and sauce. Add oregano, basil, garlic powder, half the diced peppers. Roll into balls to fit and place in greased cupcake tins. Make in impression in the middle of each one and squirt some ketchup in the middle top with sliced bell peppers. Bake till crispy looking on top. 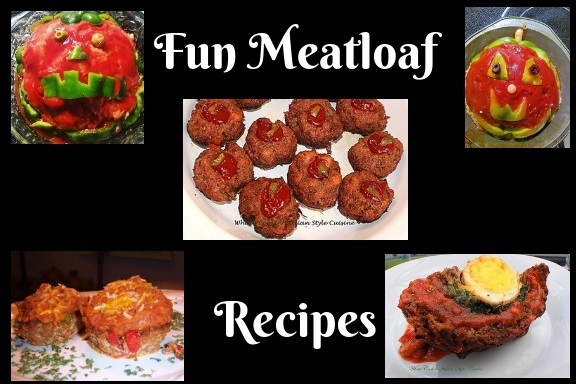 Don't Forget to try my other meatloaf fun recipes! I love these mini meatloaves. Perfect to freeze for a busy day! These look so easy to make and they would be great at a party food buffet. I can't wait to give this recipe a try. My kids are going through a picky stage as well but I think they are going to love these meatloaf cupcakes. Thanks for helping a momma out! I'm so excited to try these for our neighborhood block party. Such a great idea. I love that I can make them in advance and freeze....so the day of the party I just have to defrost and reheat. GENIUS. I bet these are a hit with kids! So fun and the perfect portion size. Oh yum! My whole family would go crazy for these mini meatloaves. This recipe looks super easy and full of ingredients my family loves. Looking forward to trying soon. A great snack idea. I like the presentation, it's really a great job. This looks sooooo good! Yummy! This made me drool. Cannot wait to try this. Thank you for a great recipe! I love that these are individual servings! No one else in my family will eat meatloaf but I love it - this is perfect! Any kind of food in cupcake form is going to be a winner with families! Such a good idea. 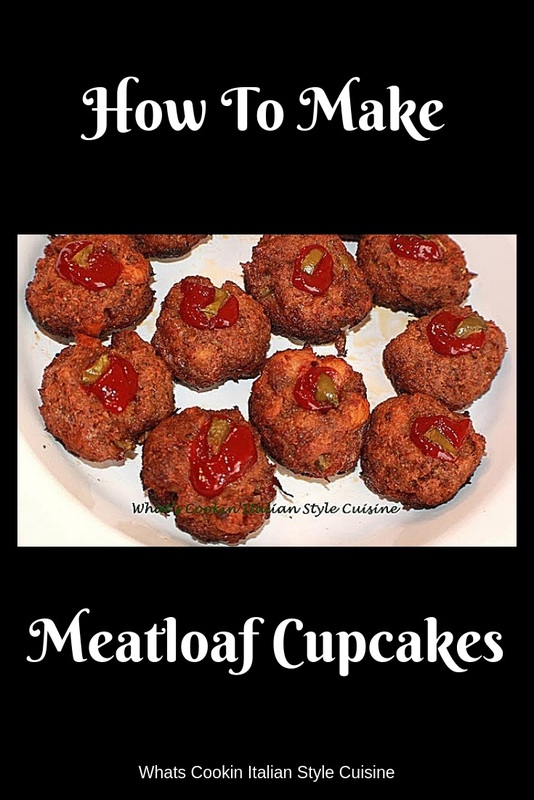 Love finger foods and these little meatloaf cupcakes would be great at a party. They would even be ideal as a light snack. Better these cupcakes then something sweet. Cute idea -- I'll be making some during the holidays. So cool to make these in cupcake pans. How simple and easy. I bet the kids got fascinated that they were made like cupcakes.